While we try to minimize our carbon footprint on the earth, Norwegian hotel Svart doesn’t really worry about its own carbon footprint of energy because it doesn’t generate one. 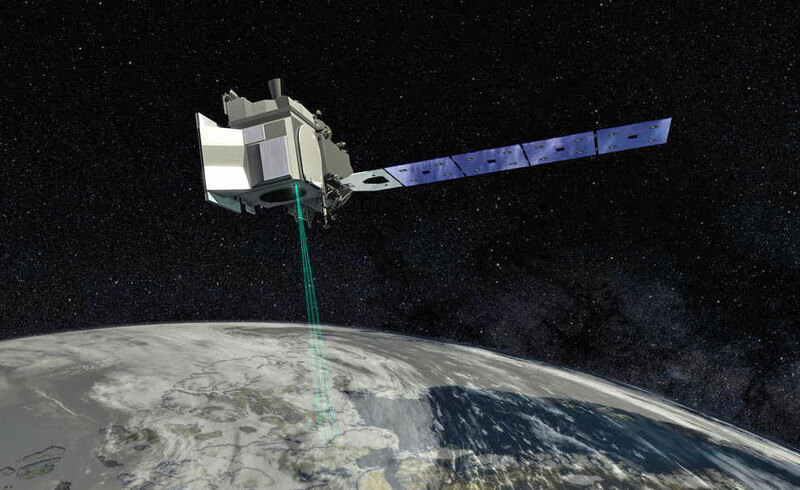 The Svart actually generates more energy than it consumes, making it a powerhouse for sustainable energy. 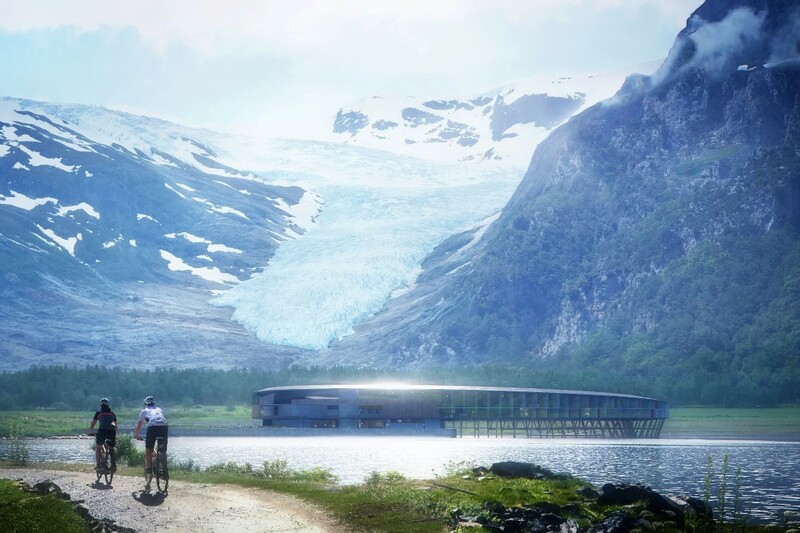 “Svart is the first building to be built after the energy positive Powerhouse standard in a Northern climate. 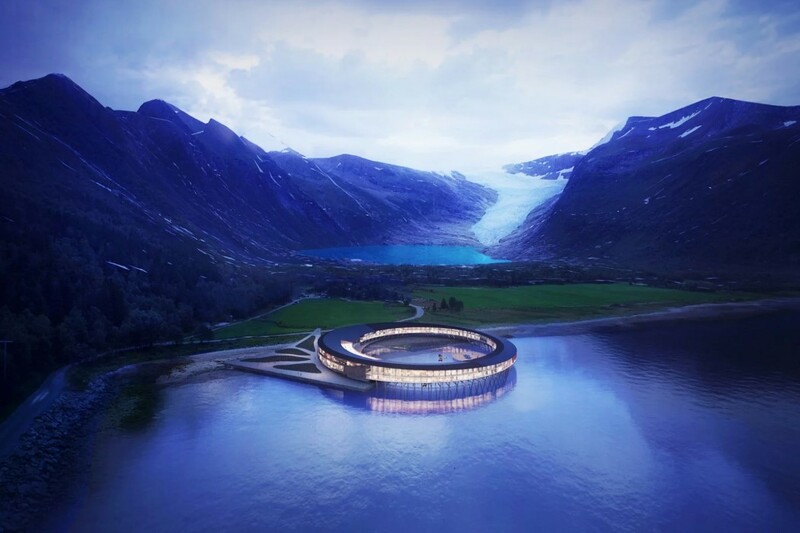 Not only does this new hotel reduce its yearly energy consumption by approximately 85% compared to a modern hotel, but it also produces its own energy” says the architectural firm Snøhetta. The design and materials for the Svart are inspired by traditional Norwegian rorbu (a seasonal house found in fishing villages). The hotel stands on wooden poles, just like a house close to riverbanks would. This allows the building to reduce its footprint and prevents the need for constructing directly on the land and impacting the flora around. 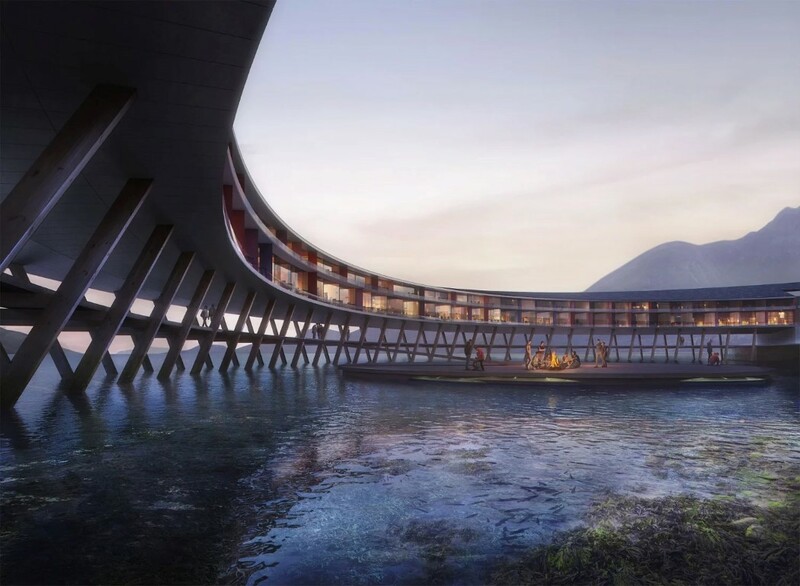 The hotel generates its own electricity using solar panels and geothermal wells, making it 85 percent more energy efficient than traditional hotels. 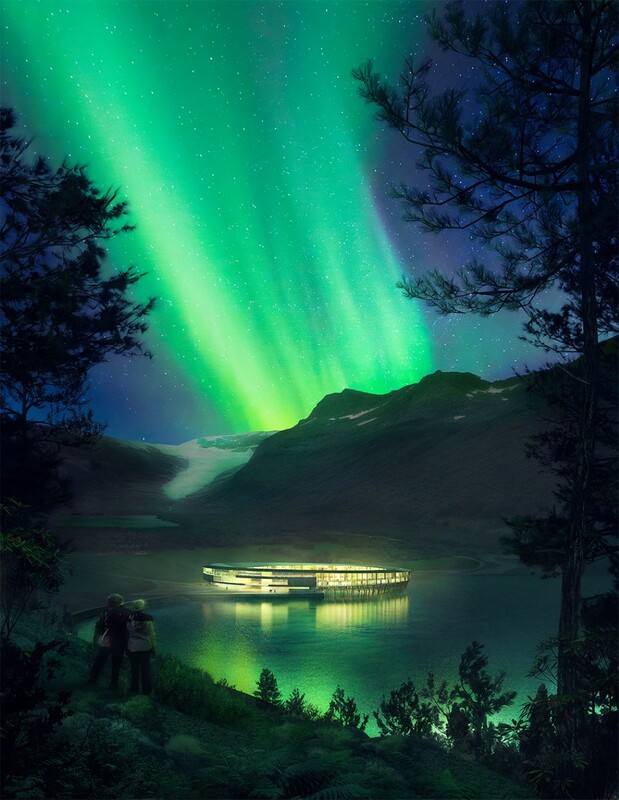 Guests who visit the Svart will get a stunning 360° view of the land around, only to be highlighted further by northern lights that will punctuate the sky at night. Additionally, since the Svart sits on top of a water body, guests get the privilege of even seeing a second set of northern lights in the reflection on the water right below the hotel! 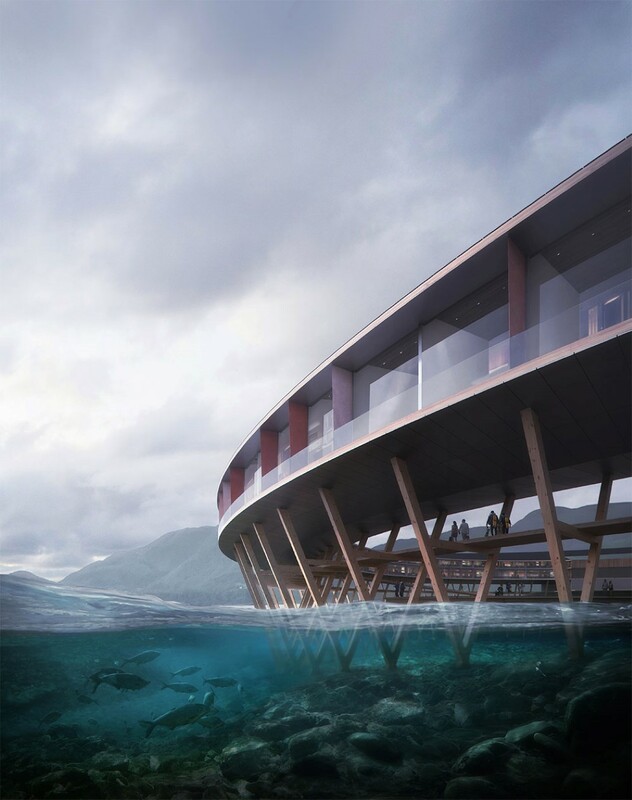 Designer: Snøhetta and Powerhouse for Arctic Adventure of Norway.